Big Bertha Fusion pushes the boundaries of forgiveness like no Callaway club ever has. The key benefit? More forgiveness means straighter flight on mis-hits, and straight flight nets longer distance, drive after drive. To increase forgiveness you have to raise the head’s MOI measurement. We’ve succeeded dramatically by developing a revolutionary clubhead design that starts with an aerospace-grade titanium exoskeleton called an Exo-Cage™. The Exo-Cage is fitted with a crown and sole composed of an ultra-light, ultra-strong material called triaxial carbon. Triaxial carbon is made possible by the deep knowledge we’ve gained from our years of experience incorporating carbon materials into our metalwoods. Big Bertha Fusion’s numbers speak volumes. The revolutionary new triaxial carbon material is over 65% lighter* than titanium, and more than 35% thinner than our previous forged composite material. This allows us to position a remarkable 35.4 grams** in strategic areas of the head to optimize the center of gravity and increase the MOI by up to 17%*** — a remarkable jump that golfers will notice by increasing the quality and accuracy of their off-center hits. This driver also incorporates Callaway’s Speed Step technology, devised with the help of aerospace experts, to enhance the head aerodynamics, promoting faster clubhead speeds. 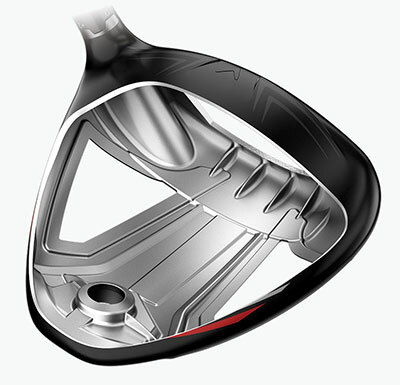 Big Bertha Fusion comes stock in both a 45.5” length for exceptional distance or a 44.5” length for enhanced control. All stock configurations are available with UST’s new Recoil driver shaft that’s designed to load more efficiently on the downswing and unload with greater power and precision through impact. Good club on a good deal. It took a a week or so to get it dialed in. I�€™m happy with it. Hit it twice at the range.. Eager to get it on the course. But i dont need to be perfect every swing to get the ball on the line i want. Which for an average player allows me to focus on other aspects of my game. ConsNone so far! Great price love shopping at RBG!!!!! I have added 30yards to my drive since going to the Fusion. Great upgrade from my TaylorMade driver. only played 1 round so far, but much more consistent than my previous driver. This driver is the best I've used so far. After taking it to the range I played a course I play frequently so I know where I usually hit it. I have added between 10 and 20 yards to my drives which on some holes allowed me to use shorter iron shots. On the mishits I still manage to get the ball in play without too much loss in distance. Love this club.